As OPEC’s November 30 meeting in Vienna draws closer, the outlook for a production cut agreement is mixed. Sentiment was positive on Tuesday, with WTI rising 5.2 percent to above $45 after falling 4 percent in previous trading sessions. A positive report from Bloomberg triggered a wave of short covering, helped by news of an attack on the Nembe Creek Trunk Line oil pipeline in Nigeria. 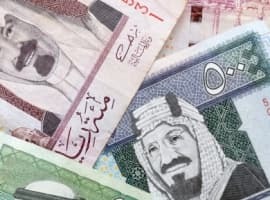 While Qatar, Algeria, and Venezuela are pushing a last-ditch effort to finalize a deal, Saudi Arabia, Iraq, and Iran remain at loggerheads over how to share output cuts. 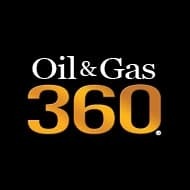 With all this noise going on, Oil & Gas 360® looks at EnerCom’s WTI model to predict how prices would react under different scenarios. OPEC nations produced 33.7 MMBOPD in September while non-OPEC production provided about 56.2 MMBOPD. With global production at about 90 MMBOPD, the one-million barrel cut necessary to bring current OPEC production in line with the production ceiling of 32.5 to 33 MMBOPD announced in Algiers starts to look kind of small. 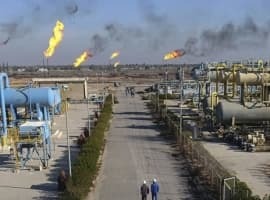 The fact remains that the world is still awash in oil, and regardless of what OPEC (the Saudis) say they will do at their upcoming meeting, higher prices will require more significant cuts than one million daily barrels. Many countries with NOCs are desperate to generate more revenue and they are not keen on lowering their production. 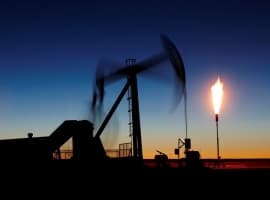 At the same time the world’s oil producers are eager for prices to rise, at which time they will increase drilling and completion activity and grow production. In turn the higher oilfield activity will increase supply and dampen any price gains. As welcome as OPEC cuts would be, they are not likely to be of the size that will drastically alter the fundamentals. EnerCom’s oil model is currently predicting that a 1 MMBOPD cut in OPEC production would result in a $3 increase in oil price, all else equal. At current levels, that would push oil into the upper $40s. Of course, an agreement followed up with actual production declines would also boost market sentiment a lot. Supply is only part of the picture and markets have responded much more favorably to demand increases in recent years. The ideal scenario would be a supply cut coinciding with a demand increase from developing nations such as China or India. At current prices, a supply decrease and demand increase of 1 MMBOPD would easily push fundamentals into the mid-$50 range, all else equal. How difficult could it be for the world's 15 major producers to divide a cut of 1 million barrels per day? Error: BP CEO Bob Dudley and not Bill Dudley..! !